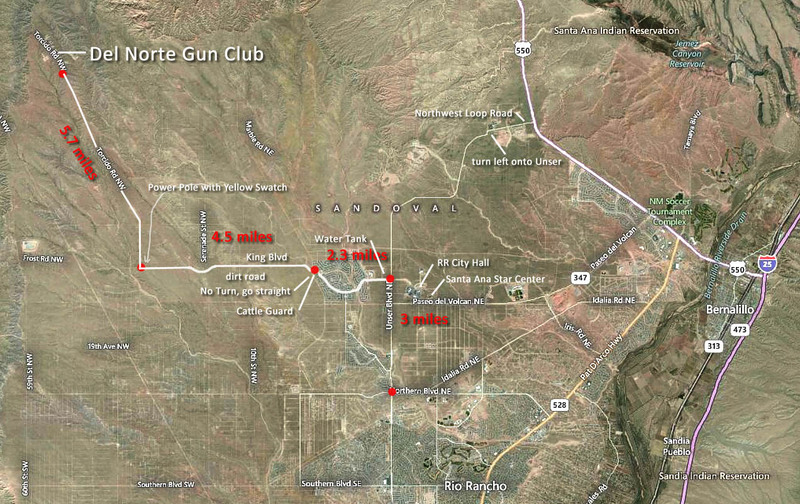 To find the range you will get on Unser Blvd., which runs North-South on the West side of Albuquerque and Rio Rancho from I-40 to NM 550. At Unser and King, in Rio Rancho, you will turn West on King and go approximately 4 miles to Torcido Rd. (look for Power-pole painted yellow and street sign). Turn Right onto Torcido rd. and proceed until it ends at our gate. (NOTE: 1 mile after you turn onto King the pavement ends and the remaining roads are dirt. In inclement weather these roads may be impassable by some vehicles). For more information, please submit your inquiry with this contact form.